This was just one of the home truths shared by A.G. Mohan on his recent visit to New Zealand. Although he said it with typical good humour – he wasn’t joking! 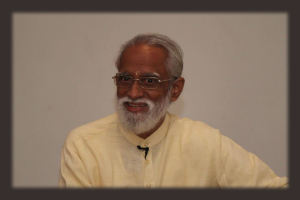 Mohan has studied, practiced and taught yoga for over 40 years and had the great privilege of being a close personal student of the legendary yoga master T. Krishnamacharya for eighteen years. He is undoubtedly one of the most knowledgeable yoga teachers living today. When he comes out with a statement like that, we should all stop and listen!